Jake’s very first live performance was in March 2011 when he opened for legendary rapper Snoop Dogg in Pompano Beach, Florida and shortly after he opened for rapper Mac Miller in Fort Lauderdale, Florida. In May 2011, Jake won the Samsung & T-Mobile national "Kick it with the Band" competition designed to highlight some of the best music talent on the verge of stardom across the country. As the grand prize winner, Jake was awarded $35,000.00 for use towards his music career and a music video with YouTube sensation Keenan Cahill. In November 2011, Jake performed alongside Flo Rida, Sean Kingston and Asher Roth at the "Think Pink Rocks" concert in West Palm Beach, FL which is sponsored by Steve Rifkind and SRC Records. In December 2011, Jake took the stage at the annual Y-100 Jingle Ball concert where Cody Simpson and We the Kings also performed. On December 31, 2011, he rang in the New Year at the Orange Drive Miami Beach Music Festival in which Jason Derulo, Cee Lo Green, Ne-Yo, Gym Class Heroes and Cobra Starship also performed. On March 11, 2012 Jake performed on both the Planet Pit Stage and Power 96 Stage at the famed Calle Ocho Festival in Miami, FL in front of an estimated crowd of 200,000+. He also had a show sponsored by Miami’s pop radio station Y-100 where he performed with Sammy Adams, Austin Mahone, J Rand and others. A personal highlight for Jake (as he is an avid Miami Heat fan) was when he performed at the AAA arena during the NBA championship finals. MTV Buzzworthy says "Jake Miller is about to blow up! Jake just released a brand-new video and we're mildly obsessed, to say the least. Jake's rap flow is serious, and we haven't even discussed his vocals yet! Unsurprisingly, Jake's also got a killer set of pipes." The Miami Herald recently featured Jake in a full page article titled Young Rapper in the Fast Lane, and goes on to say "It's Miller time! Get used to hearing the name Jake Miller. The Weston rapper is on his way. At just 19, the singer-songwriter is a Web sensation." 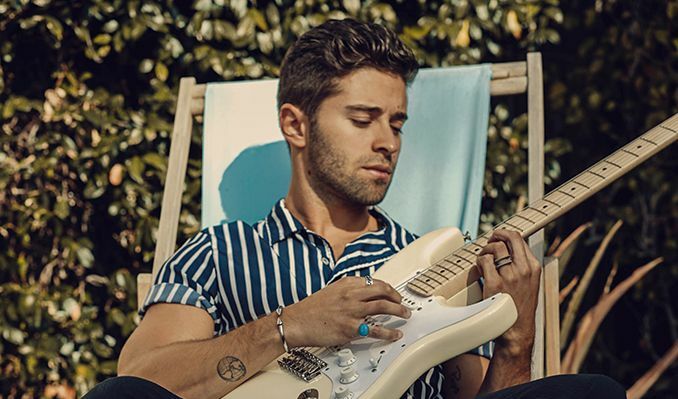 J-14 Magazine featured Jake in their weekly Hot Music Alert section while YoungHollywood.com says "South Floridian Teen Jake Miller (is) breaking through to the Music Mainstream." WFOR-TV (CBS Miami) says "Jake Miller is a star on the rise whose catchy rap tunes are exploding all over the internet." On March 6, 2012, MTV.com did the exclusive music video premiere of Jake's single "I'm Alright." Jake went on a Florida radio tour in March, 2012 to promote his single, "What I Wouldn't Give," and at one point, it was the only record near the top 50 on the Top 40 charts by a completely independent artist. Jake recently released his first EP, “Spotlight” on iTunes. Jake is a social media wiz and stays extremely connected to his growing fan base. He currently has over 100,000 followers on Facebook and over 70,000 Twitter followers.